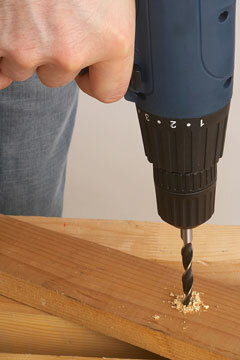 Good quality power tools are essential for craftsmen, tradespeople, and do-it-yourselfers. Power tool manufacturers generally offer both higher priced, professional grade tools and lower priced, light duty tools. In many cases, an expensive, pro quality power tool is appropriate for a tradesman who uses the tool day in and day out, while an inexpensive tool may be well suited for a homeowner who uses the tool only occasionally. Most power tools used in the USA are powered by 120 volt AC current. However, as NiCad and Lithium Ion batteries have improved in recent years, cordless tools have become popular. These tools offer greater flexibility and freedom of movement for home improvement and construction sites where AC power may not be available. Engineering News-Record. Tuesday, 08 May 2018 17:09:00 -0400. The primary types of power tools include drills, saws, shaping tools, and impact tools. Drills are designed to make round holes by means of a revolving cutting bit. Saws are used to cut solid materials into specified shapes or lengths. Lathes are stationary tools that remove unwanted material from a workpiece by means of a turning operation. Sanders are meant for smoothing rough surfaces. Impact drivers, hammers, and wrenches typically use a powered cam and gear mechanism, and are designed to replace traditional screwdrivers, hammers, and wrenches for many usages. Some power tools are quite versatile; others are very specialized. For instance, portable circular saws are used for a wide range of sawing applications, whereas scroll saws are used specifically to cut intricate shapes in thin pieces of wood. With such a diverse selection of power tools available, it is important to understand their intended uses in order to fully benefit from their many capabilities. On Power-Tool.us, we feature convenient access to several power tool manufacturers as well as selected power tool suppliers. Power tools are inherently dangerous, and should only be used by persons who are alert and understand how to use them correctly and safely. Out of concern for our visitors' safety, we have included a series of basic power tool safety tips. However, these tips are no substitute for each tool manufacturer's safety instructions. High quality power tools and equipment at discount prices. Their online catalog features thousands of products. Features high-performance industrial tools and accessories. One of world's largest and most innovative power tool manufacturers. Offers heavy duty electric power tools and accessories. Search for a wide range of power tools, by product type or by brand. The Robert Bosch Tool Corporation offers a wide selection of power tools and accessories under the Skil brand name. Offers woodworking tools, cordless tools, and concrete/metal tools. Manufactures a full line of power tools, equipment, and accessories. 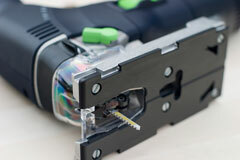 Manufacturer of industrial-quality corded and cordless power tools. Supplies project tools for hobbies, crafts, and precision work. Manufactures industrial tools, automotive tools, and construction tools. Offers an innovative spiral saw that can make precise cuts in a variety of difficult materials. Manufacturer of industrial and homeowner quality wet/dry vacuum cleaners. PTI represents the power tool industry; it strives to build global understanding of power tools and maintain high safety standards in the industry. Tool Boxes - tool storage products and solutions.